This is the beginning of another phase of a dream that began four years ago after retiring from my 30 year career as a health professional. During my “professional work” years I spent every free moment with the horses, learning and practicing the skills necessary to stay safe and have fun. I wanted more than anything to get over my fear of horses-their size and athletic power, while exciting, intimidated me. The freedom I felt when riding pushed me through the more difficult moments of fear and allowed me to celebrate each successful ride. 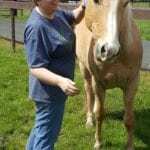 Then, after an unfortunate lapse in judgment and subsequent injury on horseback over 15 years ago, my focus turned to a better understanding of horse behavior while learning to communicate with another species. I had chosen to ride a young horse who had given me every indication that she was not comfortable with my approach and did not trust my leadership. I did not know at the time that her nervous, reactive behavior was directly related to my hesitant and inconsistent direction. I did not know how to speak her language and she knew it. I hadn’t yet discovered the power of body language to convey messages of intention and purpose. Taking my horsemanship to the next level required me to go out and search for the men and women who would show me the way. Fortunately, I didn’t have to look very far. In the mid 1990s there was a “revolution in horsemanship” with people like John Lyons, Pat Parelli, Chris Cox, Mark Rashid and Clinton Anderson appearing at the local horse expos and clinics and producing new books and videos every month. But the most inspirational and influential group to enter my life are the incredible people I met through Centered Riding. I had read Sally Swift’s book at the beginning of my journey, around 1987 but it wasn’t until 2009 that I committed to being a grounded and centered rider, a certified instructor and better HUMAN through the work with this amazing group of mainly women. My first instructor was 83 at the time, one of the original people to work side by side with Sally as she developed her programs. 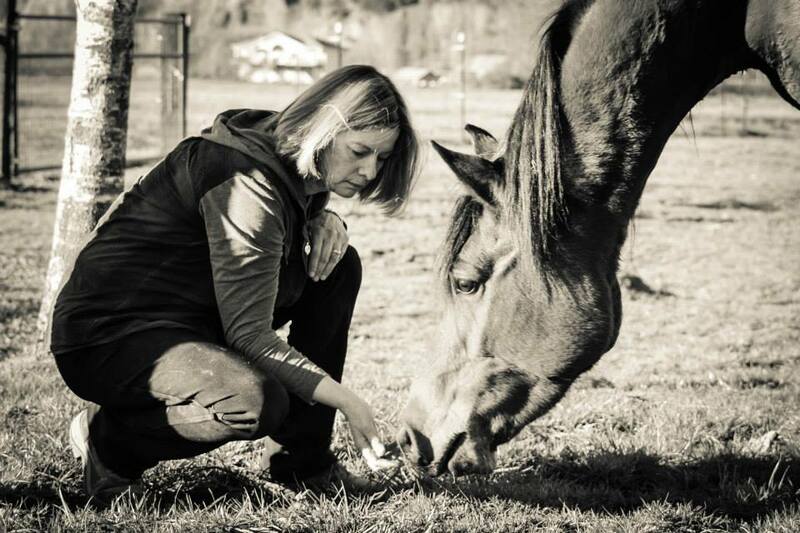 During my early years as a CR instructor, I was given an opportunity to learn another level of horsemanship, one that required me to practice greater intention and to understand what it meant to be mindful and present. 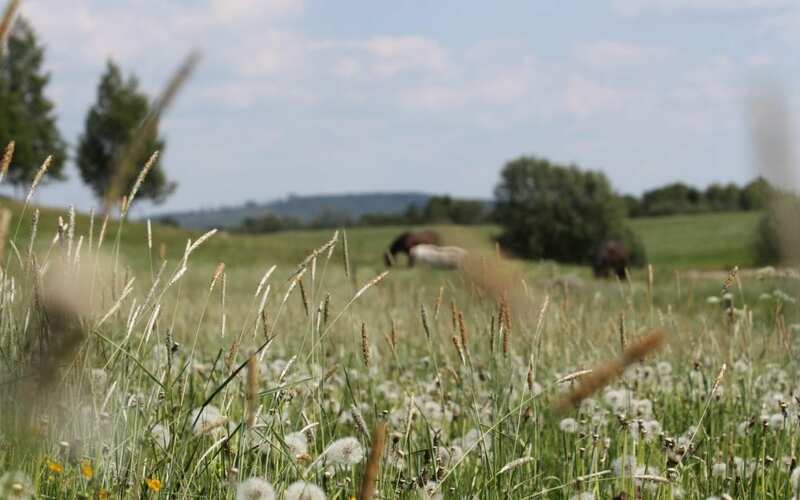 I had heard those terms thrown around in general conversation with people looking to expand their lives through meditation, but I did not understand what it had to do with my interactions with horses. I was already familiar with “Liberty Training” after watching Carolyn Resnick’s videos, but it wasn’t until I attended a clinic led by one of her master students, Robin Gates, that it’s impact on me was felt. 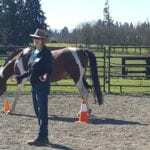 This groundwork training method, in which the horse was free to roam in a large arena with the human, includes establishing a “cord of connection”, one built on communication, trust and self awareness. It turned out to be a better way to establish a relationship with the horse that was, for me, honest and consistent. It translated into an improved response by the horse with less fear and resistance and was relatively easy to teach my students. Each person immediately saw how well their horses enjoyed the process and how quickly their behavior changed on the ground AND in the saddle. For me though, it created a profound change in how I behaved with the horses and with other PEOPLE in my life. I was learning to be more sensitive as well as more open and willing to see another’s point of view. When all of this began to slowly creep into my personal and professional life, I knew that I had awakened a purpose for my life that would carry me to the end of my days. It’s impact on me was just the beginning. 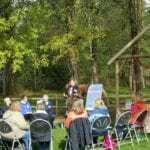 I could see how far reaching the effects would be for others, in all areas of personal and professional growth. Equine Experiential Education is a process of learning about yourself with the guidance of a facilitator and the teachings of the horse. After 30 years of experience with horses as well as a health care professional and teacher. It seemed like second nature to me to create my own programs. 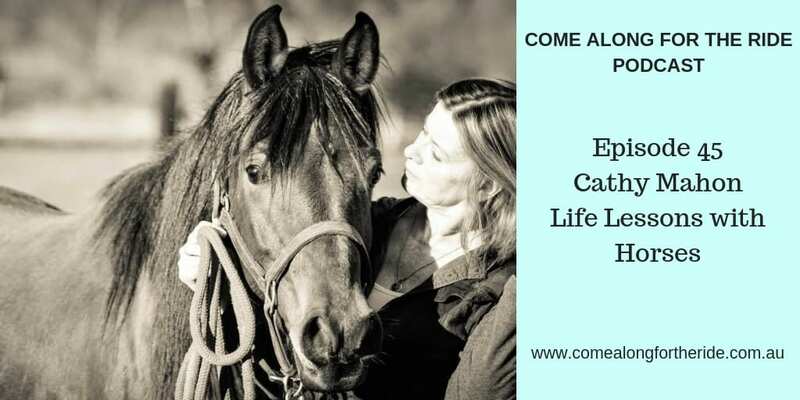 I gained more education through a certification process with the E3 (Equine Experiential Education) Association and professional coaching just to zero in on the skills I would need to share this with as many people as possible. So, with the launching of this new sight I have taken the next step in the dream to create unique educational experiences for people with horses. It’s not about training or riding them, but allowing them to share their great wisdom and intuition so that we can all find our true potential, our authentic voice in everything we do. I hope you find a sense of peace and balance in your life every time you join us at LIFE LESSONS WITH HORSES!